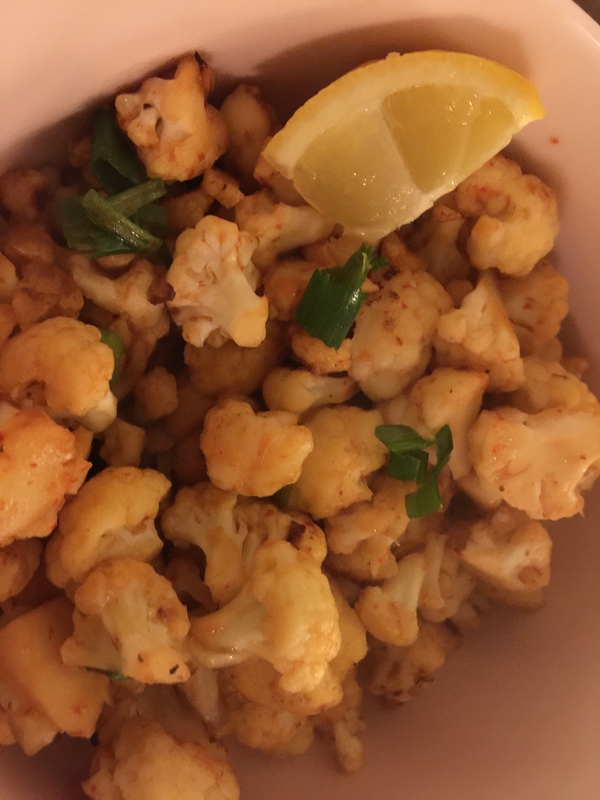 Spice it up with some Cauli. The recipe I am about to share is one that you will make over and over again. 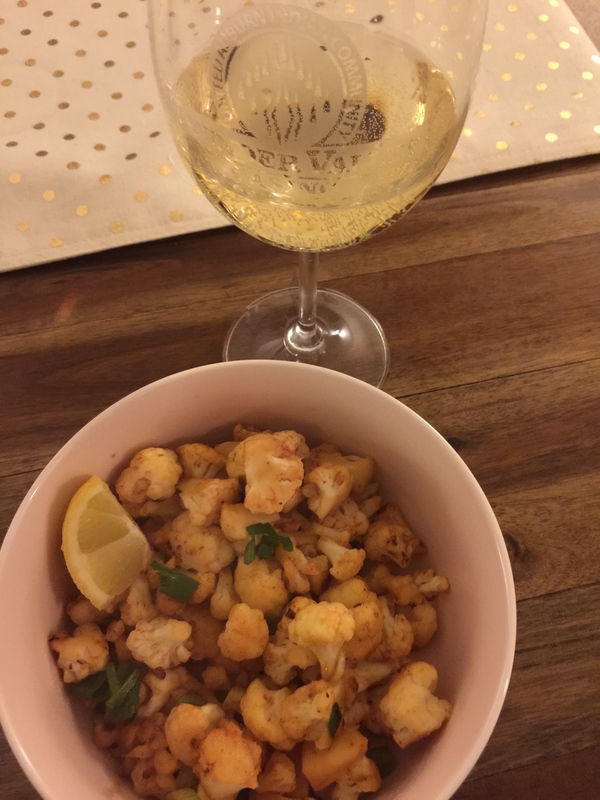 I love Cauliflower and enjoy trying out new ways to eat it! The following made four servings. If you were to add this to a bed of greens or grains you could spread it out a little longer. 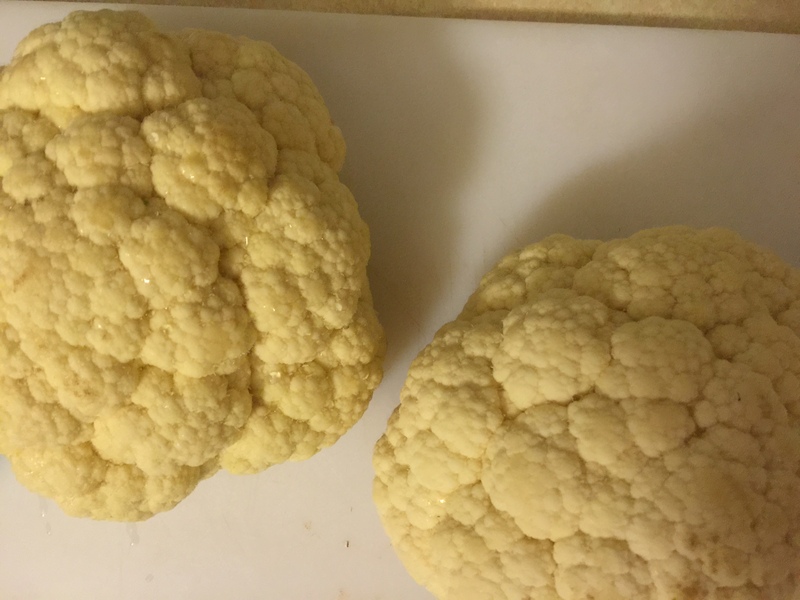 Break up the cauliflower into large florets, then, using your hands, break into very small florets. Heat a large, heavy skillet over medium-high to high heat. Add the oil, then the cauliflower and garlic. Stir the cauliflower around the pan, allowing it to get very brown in some areas. Cook for 3 minutes, then turn heat to low. Add soy sauce, squeeze in the juice of the lime, and add most of the sliced green onion, reserving the rest for serving. 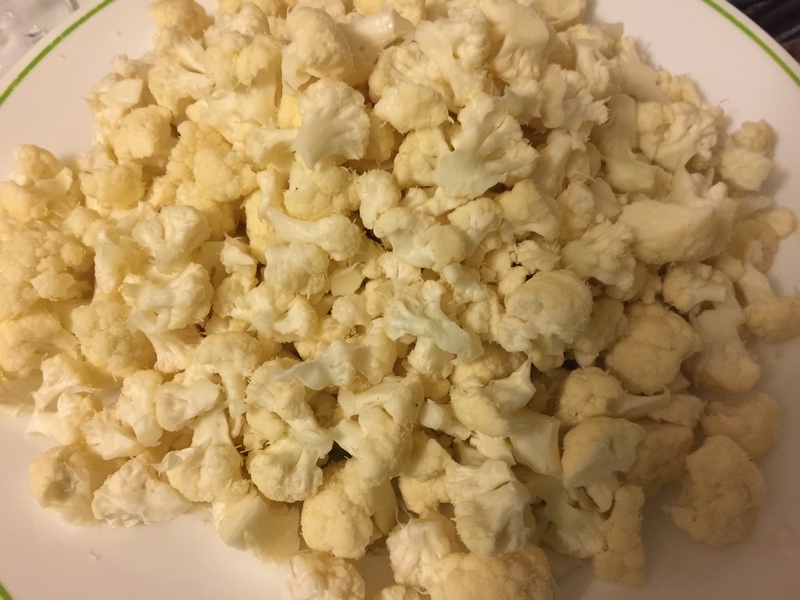 Stir and allow to cook for 1 minute, then squeeze the hot sauce over the cauliflower. Stir until the hot sauce has been incorporated. 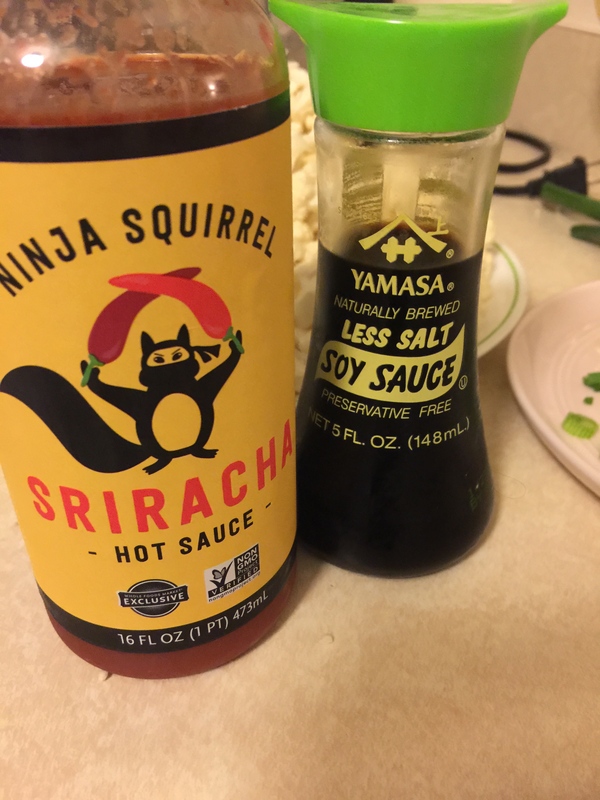 Add a little more hot sauce if you want a deeper color and flavor. Serve hot in a bowl. 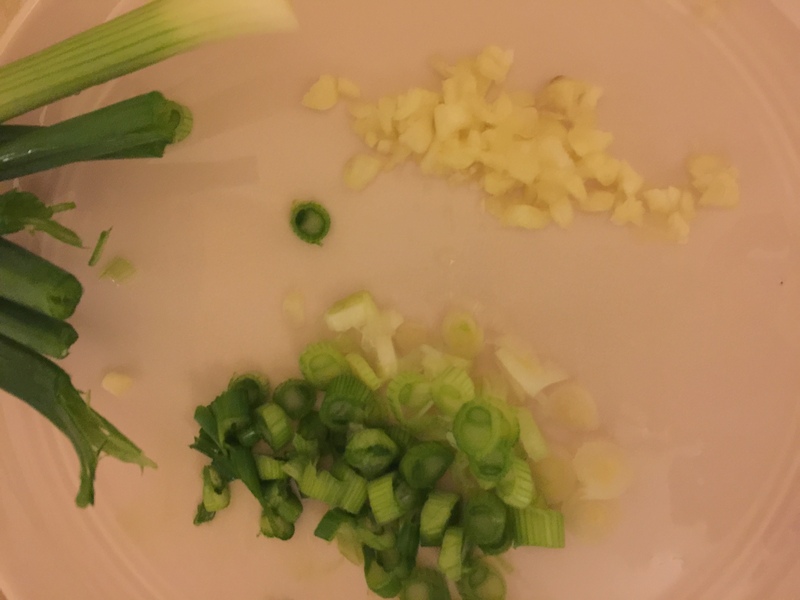 Sprinkle extra sliced green onions on top, and serve with a lime wedge. This can be enjoyed with a tasty Gewurztraminer. We had this one.